A couple of weeks ago I went with my lovely friend Louisa from UK Beauty Online for a spa day at Hoar Cross Hall. Now, crazily enough, I’ve never actually been to a day spa! I’ve been to a couple of small ones in hotels like the Hilton in Sheffield and 30 James Street in Liverpool, and I’ve visited the Twilight Spa at Center Parcs but I’ve never been to a proper, full-on, all day spa. Let me start by saying that this one was incredible! There was so much to do that the time went super fast and we didn’t even get to try everything out on the day. You may think that a spa day might be boring, there’s nothing to do all day, etc – but that was definitely not the case at Hoar Cross Hall! 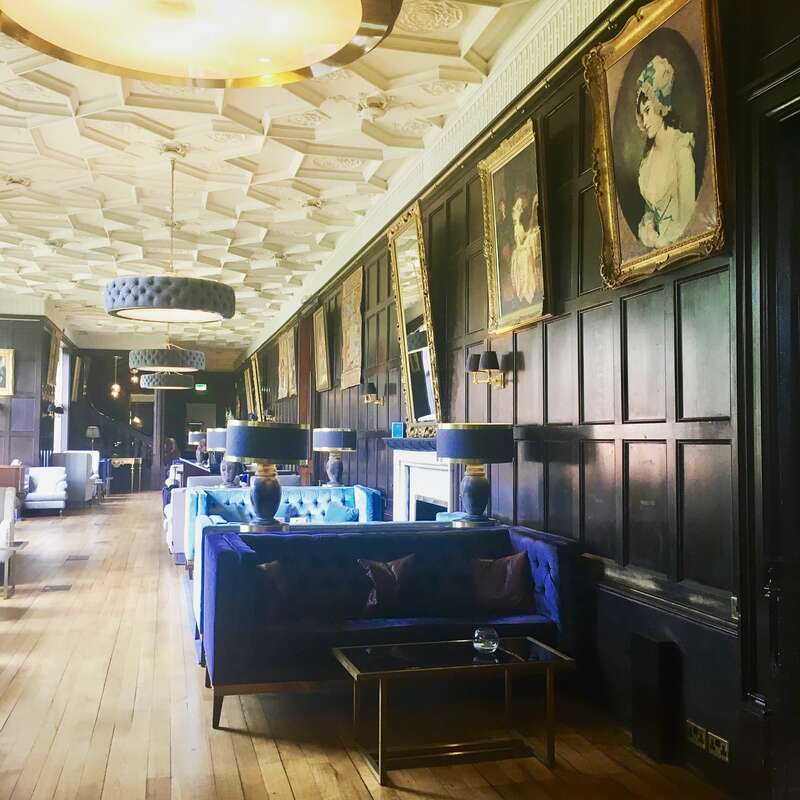 The building is a Grade II listed stately home that’s stylish and swish inside and is set in 50 acres of countryside in Staffordshire. We started out in the Aqua Massage area where we tried out the body jets, sensory showers, water massagers, before going for a swim in the salt water pool and a dip in some of the jaccuzis. Soon it was time for our back massages. Mine was incredible, really firm pressure and lovely products – I was just a bit ticklish around my ribs! I apparently had quite a few knots around my shoulders (who would have thought it?!) so I was left with a product on that was super tingly to ease some of these – it was basically amazing! After our treatments it was time for a three course lunch. The starters were soup and a salad buffet which included all the usual salad plus continental meats and seafood like prawns and mussels. The starters were amazing! 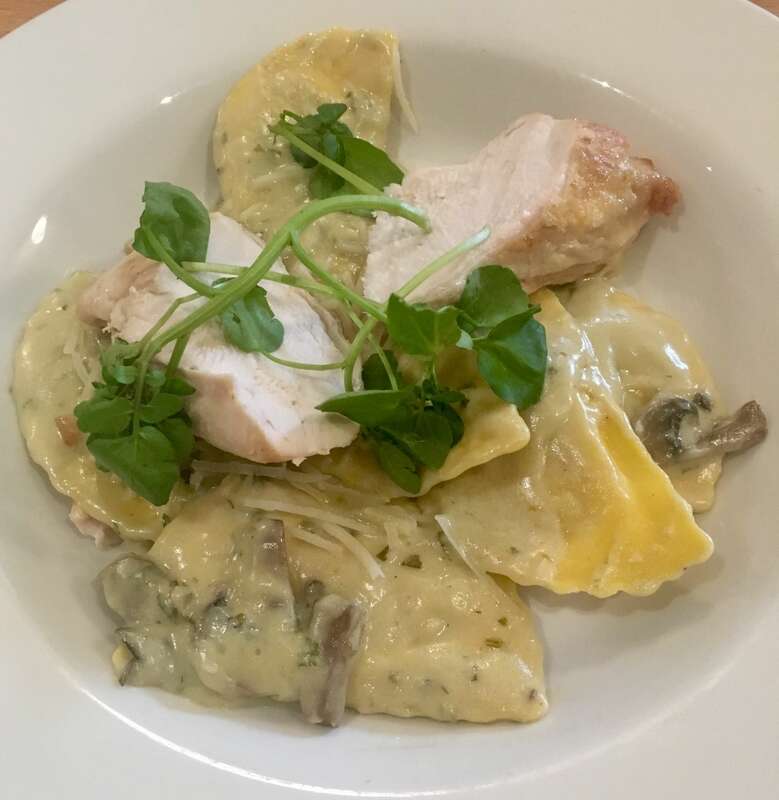 I then had pasta in a mushroom sauce with chicken followed by cheesecake which was all delicious – I couldn’t actually eat it all. Exercise classes were all included in the day package and you could even use the gym if you wanted to (I didn’t!). We tried out a beginners yoga class which I thought was quite advanced and it really stretched me (and stretched me out!). At the end of the class there was a 10 minute relaxation session where I, of course, fell asleep and was only awoken by Louisa throwing a blanket at me! Talk about total relaxation! Although we’d already had lunch, we treated ourselves to afternoon tea as well. This was served in a relaxed dining room and was really nice. 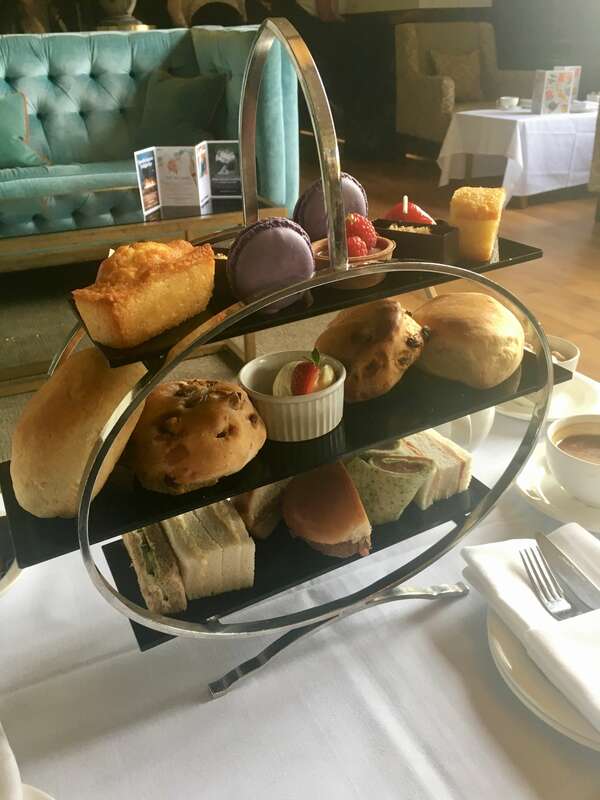 There were the usual mini sandwiches which were really tasty, a HUGE plain scone and lots of little sweet bits including lemon drizzle cake and macarons. The only thing that I would say is that we weren’t that well attended to – we weren’t asked if we wanted more coffee throughout our meal, but that’s just a tiny thing! 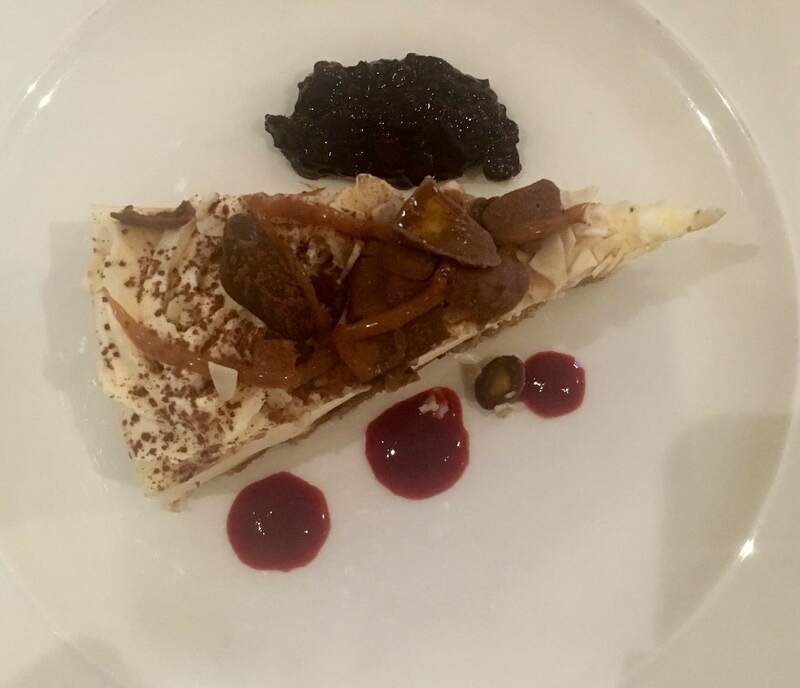 We booked on a spring time offer which meant the whole day including classes, the spa, treatment and a three course lunch was only £89. We found that we ran out of time so we didn’t even get to fit in the Hydrotherapy Pool, Snoozeroom and the Nordic Heat and Ice Suite. I felt super relaxed and rejuvenated after the spa day and I’d definitely visit again – maybe next time I’d need to do an overnight stay to fit everything in! Find out more and book your own spa day at Hoar Cross Hall here.